Over the next few weeks you will be hearing a lot about the Tate. 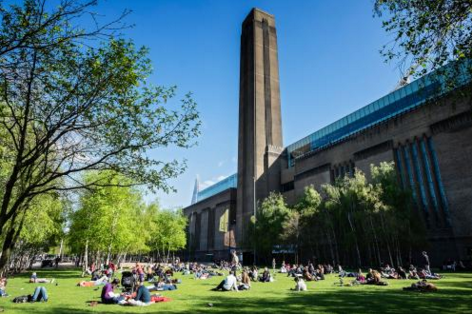 On June 17, the empire’s flagship gallery in London, Tate Modern on Bankside, will open the doors to an extension that has cost £260m. To prepare us for this big moment, the Tate’s super-efficient press set-up has organised a sequence of interviews, TV moments, previews and architectural visits whose shared task is to ensure that the opening of the extension is recognised as another fabulous milestone in the huge national success story that is Tate Modern. It will be an occasion for wide-scale oohing and aahing. We will get reviews, opinions, encomiums. What will not be happening, much, is the voicing of concerns about the need for such an expensive extension. I doubt, also, that anyone will be asking too many difficult questions of the man behind it all, the Tate’s long-serving supremo, Sir Nicholas Serota. When I say Serota is “long-serving”, it barely begins to cover it. Truer, perhaps, to think of him as a gallery immortal. When he began his reign as director of the Tate, in 1988, Robert Mugabe had just become president of Zimbabwe and Margaret Thatcher was in her pomp. In America, it was still the Reagan era. In the well-nigh 30 years that separate then from now, Serota has prospered through the reigns of five prime ministers of assorted political persuasions — Thatcher, Major, Blair, Brown and Cameron. Not only has he lasted longer than any Tate director before him, he has lasted longer than any director of a major national collection in Britain. Yet in all that time, barely a question has been raised about his plans, and no serious challenge has been mounted to his supremacy. Serota and the Tate empire he created have been free to control the shape of our modern art to an unparalleled degree. Certainly, his success in building that empire is a testament to some remarkable skills and methods. But when one man’s view has been amplified as successfully and lengthily as Serota’s view has, can it really be a healthy situation? The year he started his reign, the Tate set-up consisted of just one gallery on ­Millbank — the current Tate Britain. Today, there are four of them — five if you count the new conservatory as a separate achievement. In Liverpool and St Ives, the away Tates have been hugely successful. And the biggest success of all, Tate Modern itself, Tony Blair’s great cultural gift to the new millennium, opened to noisy fanfares in 2000 and has seen visitor numbers increase ever since. To achieve all this, you need to know which strings to pull. The son of Baroness Serota, a health minister under Harold Wilson, Serota imbibed cute political skills in his mother’s milk. The stories of his diplomatic successes are legion. Every one of his five prime ministers has been played like a viola. These days, according to whispered rumours, he even has George Osborne, a secret art lover, eating out of his hand. How else to explain the finding of the mountain of money needed to build the new extension at a time when Britain is still stumbling out of the great recession? 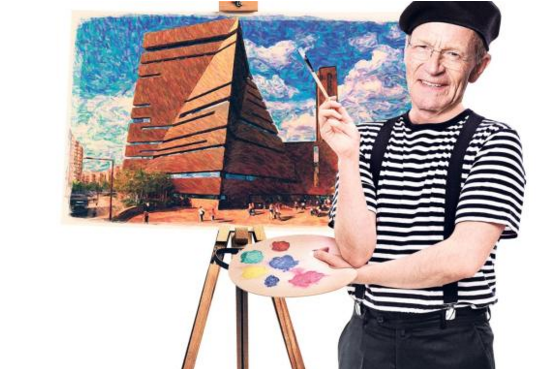 Opening new museums is not, however, the same thing as safeguarding the soul of modern art. And the skills that are needed to stay at the head of a creative institution for 30 years are not the same skills that are needed to ensure that institution’s continuing creativity. In any other cultural field, it would be unimaginable for one man to exert as much control as Serota has exerted for as long as he has exerted it. How on earth has it been possible in the especially ungovernable field of modern art? Partly, it has been a question of luck. Being in the right place at the right time. These days, Serota is widely recognised as the man who turned Britain from a nation of modern art haters into a nation of modern art lovers. You have to go back only a few decades to the era of the Tate Bricks to find yourself in another art country: a country where modern art was habitually laughed at, despised or ignored. Having been around myself at the time I can ­personally vouch for the unpopularity of pretty much everything that makes Tate Modern so popular today. This has now changed. Dramatically so. And the change does, indeed, coincide with Serota’s reign at the Tate. Things began to shift in around 1988, that is true. But the shift had little to do with him or the national art policy. On the contrary. The revolution was prompted mainly by events off stage. In particular, there was the arrival on the art scene of Margaret Thatcher’s brilliant and brilliantly hated ad man, Charles Saatchi. Whatever you think of Saatchi and his subsequent behaviour, there is not a shadow of a doubt that he changed British art. The opening of his private gallery in St John’s Wood was a challenge to both the Tate’s tastes and to the prevailing attitude to contemporary art. By championing thrusting young talents such as Damien Hirst and the Chapman brothers, Saatchi did something the Tate itself had never done: he put absolute faith in the new. When Hirst and his pickled sharks began their journey from the back of the newspaper to the front, they did so in contravention of pretty much everything the Tate stood for. And by 1997, when Saatchi’s Sensation exhibition opened at the Royal Academy, the breakthrough had long been made. Tate Modern’s opening in 2000 was the cherry on the cake, but it had nothing to do with the baking. That, though, is not how it gets spun these days. Today, Serota and Saatchi are a divorced couple. And while Saatchi has been banished to an angsty twilight, his nemesis has become the king-maker and quartermaster of contemporary art in Britain. These days, the Tate empire exercises pretty much complete control over the tone and direction of the new. When I look at all this, I see a rerun of the situation that occurred in France in the 19th century, when too much cultural power was concentrated in too few hands, and a revolution was needed to restore the nation’s creative freedom. At the time, Paris was the trendiest cultural destination in the world. Everyone wanted to move there, just as they want today to come to London. In those days, the French art world was centred on an exhibition known as the Salon, the 19th-century equivalent of the Turner prize. The Salon was a critical destination for emerging talents, and the place you needed to be to get noticed. It was also immensely popular. In 1855, the show was visited by 1m people. Anyone who complained about the Salon and its restrictive campaigns and tastes had their work cut out arguing with those kinds of numbers. The Salon’s immense popularity gave it a legitimacy that felt complete, and allowed it to wield almost total power in matters of art, just as the popularity of Tate Modern does in Britain today. And it was not just an exhibition. The Salon was also the hub of a network of power spreading out to every cultural corner of France. The professors who were appointed, the prizes that were awarded, the gongs that were handed out, the viewpoints that were supported, even the ­language that was used when writing or speaking about art were dependent on and driven by their relationship to the Salon. The type of art that was favoured was also rigorously policed. Just as today’s Tate favours dry, conceptual art with a theoretical thrust, so the Salon favoured doomy moralistic pictures that did you good. It was not enough to enjoy looking at art. You needed also to be bettered by it. In its heyday, the event even had its own Nick Serota figure in the imposing and all-powerful presence of the Comte de Nieu­werkerke, head of the imperial museums and the de facto culture minister of the Second Empire. Nieuwerkerke knew what the nation needed to improve itself, and did his utmost to ensure it got plenty of it. So what, you might ask, happened to all this popularity, all the prizes, all the ­cultural power? The Impressionists came along and disregarded them, that is what happened. The Salon may have been popular, but it was serving the needs of its controllers not the needs of art. By organising their own shows, the Impressionists circumvented the system and engineered a shift in creativity that was authentically progressive. I suspect that somewhere out there in Britain, far away from the clutches of the Tate and its curators, a comparable revolution is stirring. And the one thing we know for sure about it is that it will not break out in a £260m museum extension. « Can you buy culture?